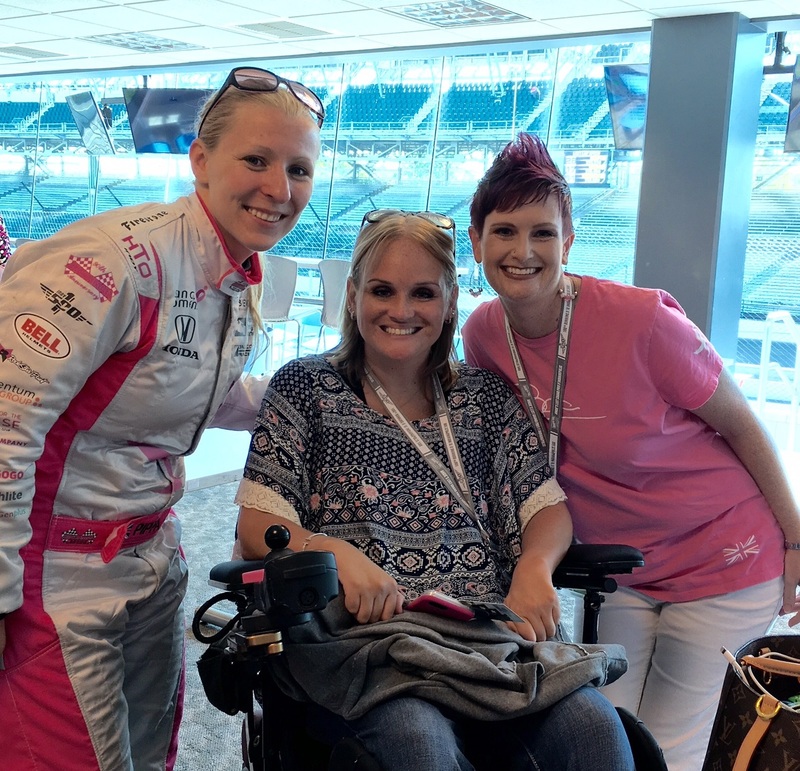 Shortly after an impressive finish in the 100th running of the Indianapolis 500, Pippa Mann wrapped up the 2016 #GetInvolved fundraising campaign, raising more than $73,000 for Susan G. Komen. The IndieGoGo campaign began on April 25, offering prizes and perks such as signed posters, signed Pippa gear, invitations to exclusive racing events and more. Donations that came from zip codes within our 41-county service area stayed with Komen Central Indiana, making a real impact close to home. Thanks to all the local and national Pippa supporters! And, just days before she raced in the Indianapolis 500, Pippa invited Komen Central Indiana and local breast cancer thrivers and survivors to watch a practice day at the Indianapolis Motor Speedway. The event was a great way for thrivers and survivors in our service area to get to know each other, as well as enjoying a fun day at the track. Thanks to Lilly Oncology for sponsoring this event, and thanks to Pippa Mann for her ongoing support of Susan G. Komen, breast cancer research and local programs that further our mission.